Subscription boxes are hot. Even Walmart is looking at getting into the game by meeting with Birchbox. The rumors are swirling that Walmart will buy Birchbox to get into the subscription business themselves. However, the explosive growth hides a dark truth. Almost all of those new subscription boxes will fail within a year. And most of the subscription boxes will quickly reach a membership plateau, staying stuck there for as long as the founders stick it out or sell. But, it doesn’t have to be that way. Here are the four reasons subscription boxes fail today and what you can do instead. 1. The new membership offer is as interesting as a 7-year-old iPhone. The iPhone 3G was exciting when released. Data speeds were 3G, and that was lightning fast for all that surfing on MySpace. Today, you can get one for $10.00 or less on eBay. But why would you want it? There are so many other choices that look better by comparison. It’s the same with many subscription box offers. The offer is all about the box. Perhaps they describe the contents, and there’s sometimes a discount for locking in a term of three or six months. There’s nothing about how the box is going to make you feel. There’s little about the curation or theme, or the “gift experience” this box will give you each time it arrives. No one wants your box. They want the feeling your box gives them when it arrives. The feeling of being special with items curated just for them, of being an insider who gets to see the latest new products before anyone else, and the convenience of never having to research and search for all of this themselves. Even small changes on your new customer order pages can greatly increase your sales conversion and number of new subscribers. Help your member prospect feel what it’ll be like when your box arrives. 2. There’s no market for their product. When I speak with many subscription box owners, I often stump them with one simple question. “Who is your target customer?” I’ll get answers such as women who wear jewelry, environmentally conscious customers, or something else equally vague. The quickest path to success in any business is to identify customers first. Determine how you’ll reach them, and learn about the problems they face in their daily lives and the types of items they are already buying. Then, design your box to delight and attract that type of person. Too many box company founders create their box based on some fun and unique idea they have, then struggle to find someone to buy it. Start with the someone first, and then design your box. 3. There’s no connection with subscribers. Your box arrives once a month. Even if it’s a great day, that leaves up to 30 days a month your member isn’t receiving anything, except perhaps his credit card statement with your charge on it. Or complaints from his wife about why he spends so much each month on frivolous stuff. Or offers from other subscriptions that he’d also like to try. The deck is stacked against you — 1 day of delight and 30 days to think about quitting. Instead, keep the conversation going all month. 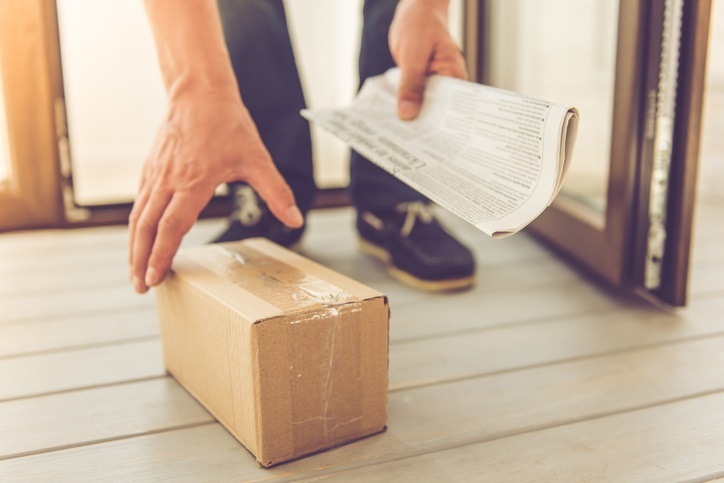 How can you engage your subscribers in a community, discover what they think of the items you are delivering, and get them excited about upcoming boxes? Membership and community isn’t a one-day-a-month thing, it’s an every-day thing. 4. They don’t incorporate their mission into their deliverables. I had a subscription box owner reach out to me, asking me about retention challenges she faced. In her email, she explained how environmentally conscious her products are, and I’ll attest that the items were really thoughtful and had a high value. However, when she sent me a PDF of the inserts she includes in her box, there was nothing in the box that explained how each item was curated in an environmentally conscious way. In fact, each item was given barely a sentence description. There was no way for the environmentally conscious customer who subscribed to her box to appreciate how this collection of products will make her feel environmentally conscious when she wears them. Rather than focusing solely on the retail price of the products you deliver, include copy about the value of the products that adhere to the values your company and customers espouse. Now, rather than a box of stuff, engaging with your box will give your members a great feeling each month. Creating a thriving subscription business is about a lot more than what you deliver each month. Subscription membership businesses are creating relationships every day, at scale. That relationship is about an exciting new membership offer, creating a product with a customer focus, delivering engagement content throughout the month, and making it all consistent with your mission. These four reasons for failure represent four new marketing strategies that’ll grow any subscription business and maximize the potential of that recurring revenue. Robert, thank you for this great article. As I slowly read through I thought of where my team and I had done well, AND where we would need to get stronger. We just launched our sub box service and things are going very well but they could always be better. Thanks again! Great to hear. Thank you for your comment Aida. I hope it helps you grow your subscription box so you can spread comfort, humor and support to more people. I’m rooting for you!